The HTC Deluxe may not be coming to Europe, if the spokesperson for HTC Germany is correct. “The HTC Deluxe will unfortunately not come to Europe.” according to HTC Germany and this goes for all of Europe, unless the Taiwanese phone giant plans a new strategy. As HTC sales loom, you would suspect that the company would be rather quick to push their phones to every available corner, but something has put them off shipping their new flagship handset to Europe. 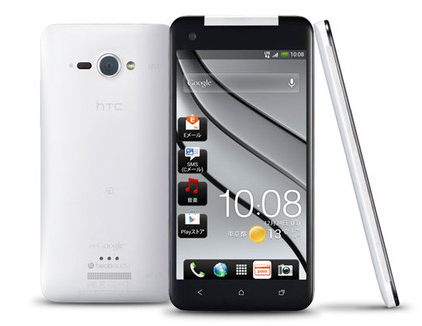 The HTC Deluxe would have been the new brand to coincide with the HTC One X+. In the US, the HTC Deluxe is known as theDroid DNAand is available on Verizon only, in Asia, the HTC smartphone is known as the J Butterfly. Both come with 1080p displays, quad-core processors clocked at 1.5GHz (Droid DNA) and with 8MP cameras. Both devices have been named one of the best smartphones of the year. Unsure if HTC are planning to bring the HTC Deluxe to specific markets in Europe,TechRadar asked, but according to HTC policy, they do not comment on rumored devices. Europe has not been the best market for HTC, but that said they have not thrown a whole lot at the European market. Living in the UK, you rarely ever see HTC ads and when you do, they are small. With Samsung, HTC’s main competitor, pushing the boundaries of availability, with 128 available countries to buy the Samsung Galaxy Note II, they are really showing HTC how it can be done. Samsung have reported recording earnings, while HTC have reported meagre sales. We believe the more HTC push for availability in different countries and advertising to almost any audience, the more they will make revenue. It may be fine taking a sidetrack, but once you do that, you have to wonder how long the company has left before it needs a full rejuvenation.